Gurucargo, an online logistics company based in Uruguay, will launch in the US next month, with the aim of cutting out “expensive middle-men” in the freight industry. It is the latest online marketplace to attempt to take advantage of the antiquated and bloated shipping industry. As with the Hong Kong-based company Freightos, which launched last year, Gurucargo compares itself with travel platform Expedia, aiming for “no inflated broker prices or shady pricing, no paperwork and no delay in shipment due to price shopping”. However, co-founder Andres Israel claims that unlike its competitors, it does not just focus on sea freight, but manages the delivery process from end-to-end, providing access to land and air cargo transit as well. Exporters and importers can access the system for free, with the company making its money from a 1% commission fee charged to the cargo shipping provider selected by the trading company. The company is currently active in Uruguay, Brazil, Chile, Panama and Mexico and handles 1.5 million monthly transactions, with 15% monthly user growth. Despite the chronic overcapacity in the shipping market and historically low prices seeing established players go bankrupt, the US freight market is expected to grow significantly over the next five years. “We believe that the timing of our launch could not be more opportune. 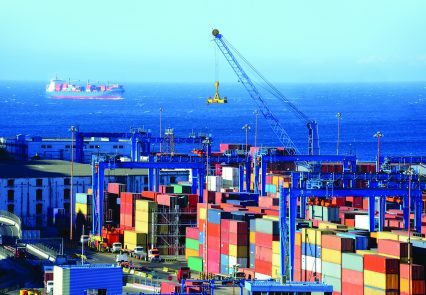 There is no more clear symptom of the inefficiency of the industry when you have overcapacity and low rates, and yet there is still great frustration on the part of importers and exporters who cannot find consistent and reliable space on ships and are constantly arbitraged by expensive middlemen. We believe that through the application of disruptive technology we can bring stability of pricing and capacity to meet market demands and ensure the financial viability of the industry,” Israel says.